How do I create and save a vesting schedule? 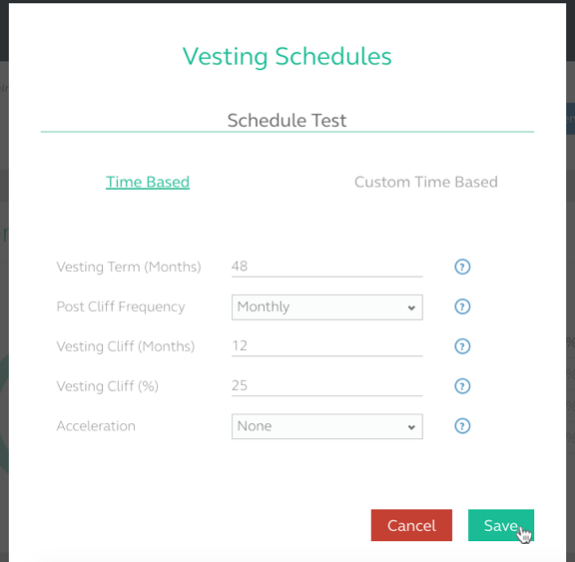 Click on CAP TABLE and then click on VESTING SCHEDULES. 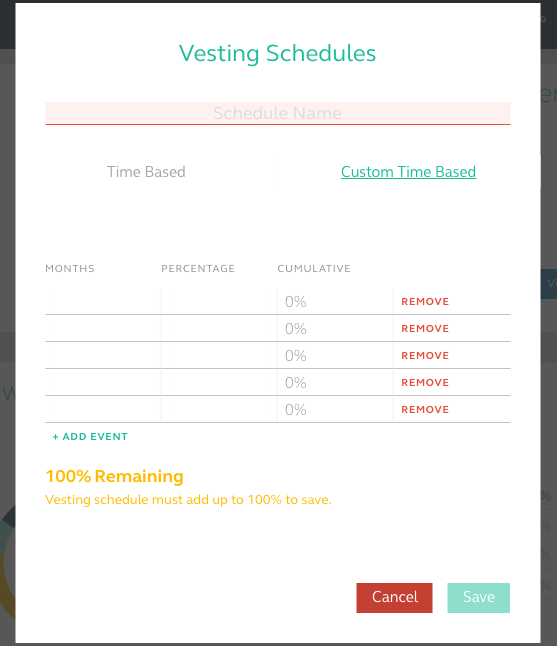 If you haven't created and saved a vesting schedule yet you should see a screen that says no saved schedules with the option to create a new one. Click on CREATE NEW. Once you have entered all of the details for your schedule click on SAVE. 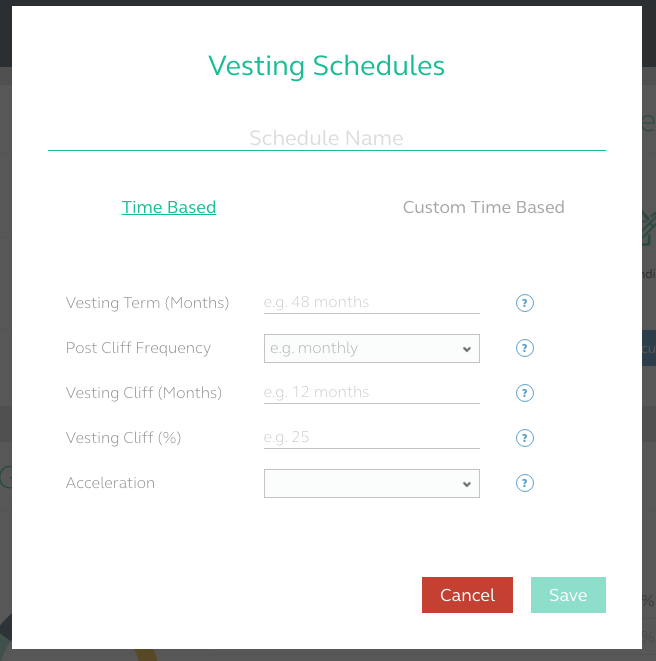 Now anytime you go to issue shares and toggle on vesting you should see your saved vesting schedules there to choose from! How do I edit or delete a saved vesting schedule?